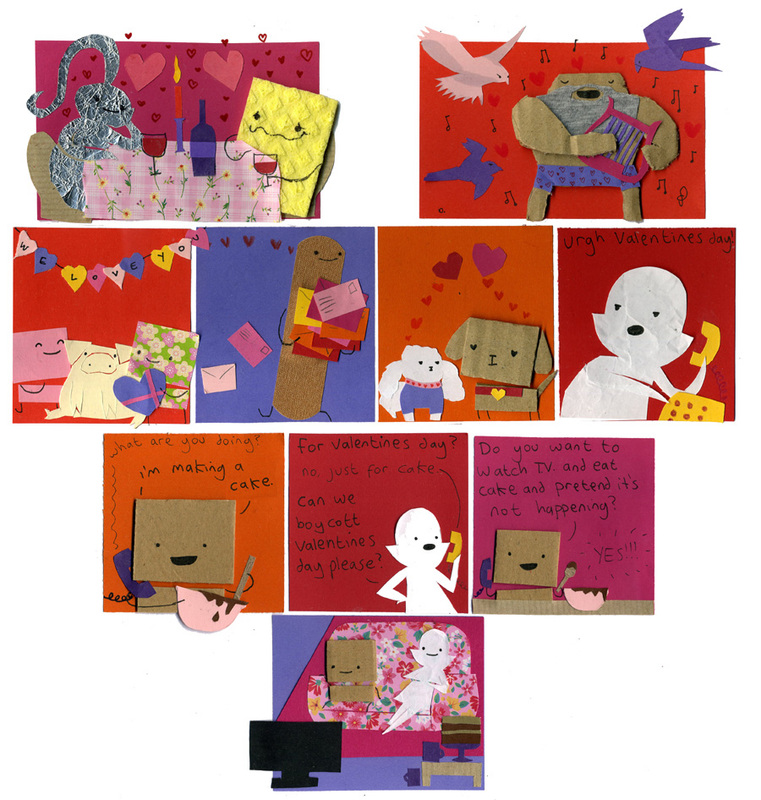 Kleefeld on Comics: "No, Just For Cake"
I sent this to my S.O. this morning with the simple note, "I love you." No jewelry. No roses or chocolates. No cards from Hallmark or American Greetings. We won't be going out to dinner tonight. In fact, I actually won't even see her until Friday evening. We're actually not very big on celebrating holidays. It's, in part, an oppositional response to the commercialist nature of our culture. Sure, there are folks out there who spend a great deal of time and put a lot of care into really expressing how they feel to their significant other. But you know as well as I do that the grocery stores are all going to be PACKED tonight with guys buying some over-priced flowers on their way home from work because they got caught up in a bunch of garbage at work and totally forgot that today was Valentine's Day and holy crap, if I forget it again this years, I'll be sleeping on the couch for a month! So the S.O. and I decided we just weren't going to play that game at all. Well, at least, as minimally as we're forced to by living in 21st century America. And that, as I'm sure you'll agree, is insanely difficult. Our entire culture is based on this consumerist mentality. That every widget is specifically designed with a limited life-span so you're forced to buy an upgrade on a regular basis. Provided you haven't already upgraded because the slightly newer widget they just released is shinier than yours. I fully admit to willingly submitting myself prey to this mentality from time to time. 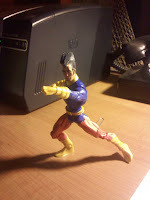 Did I really need an OMAC action figure just because, "Holy crap! I never thought anyone would even think of making an OMAC action figure"? No, of course not. But I stood there in the store, stunned that I was seeing one hanging on a pegs in a Wal-Mart. I recognized that buying it would do absolutely nothing for my emotional well-being, yet here it sits on my desk. I'm not about to suggest you storm the proverbial castle. You know marketing hype when you hear it, and know when something sounds genuinely good or interesting. You know when something's a basic press release, and when an interviewer is softballing questions to a publisher. It's not wrong to buy things and it's not wrong to want things you don't have, but don't just buy it because it's new. Or because you already have the 500-some issues that came before. Or because the publisher's marketing arm told you that the "whole" story is going to run through 14 different titles written by nine different authors, only two of which you actually like. Be deliberate with your choices. You don't need to buy all the books that are promoted to you just as you don't need to buy ever-more-expensive gifts for your sweetheart on Valentine's Day. If you like those books anyway, great! But buy them for that. If you're going to make a cake, just make it for cake.